Includes Ten Years of Free Online Access to sortable ranking tables on the Grey House Online Platform, plus a link to this content can be added to your Salem Press landing page. 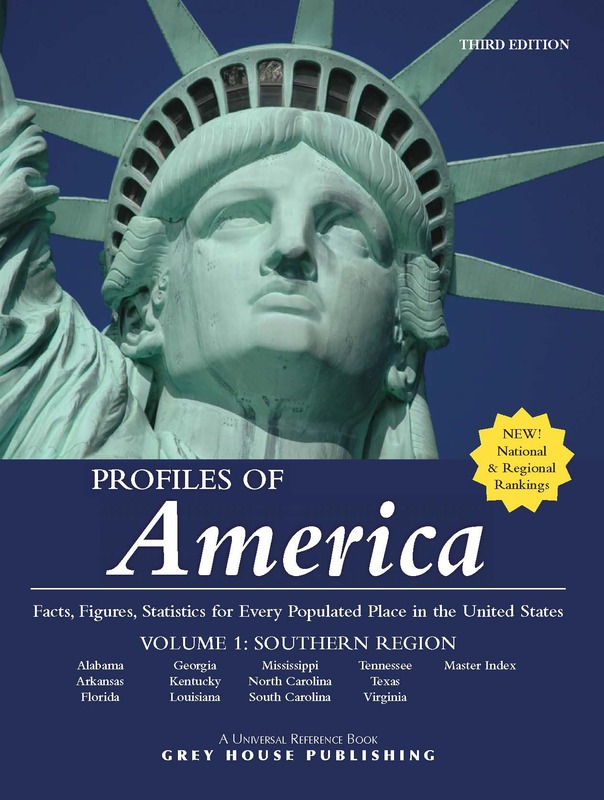 Profiles of America—Facts, Figures & Statistics for Every Populated Place in the United States is a unique, four-volume compilation of information on more than 43,000 communities across the nation, from bustling urban centers to hard-to-find hamlets. 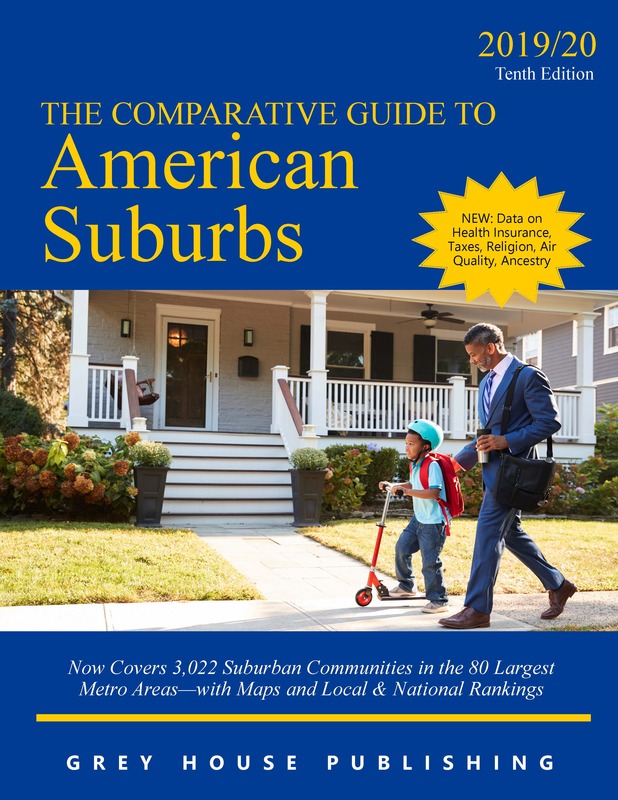 This latest edition includes 4,000 new places and 17 new data points, plus comparison and ranking statistics. 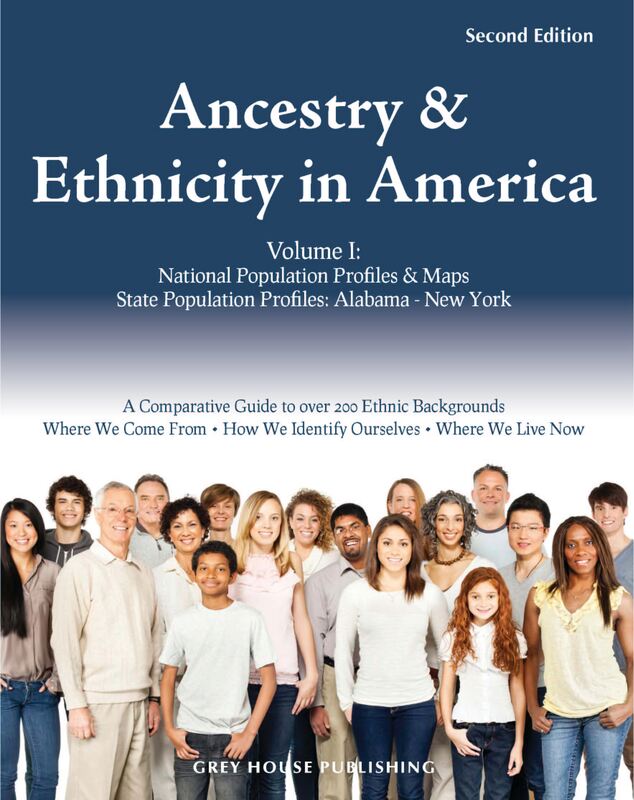 Each volume is organized alphabetically—first by state, then by county, then by community. Each State Arrangement begins with two state maps—one with counties and major cities, and another with physical attributes. The main body of the state text is arranged alphabetically by county; within each county, places are also arranged alphabetically. Following the Place Profiles for each state is an alphabetical index of both counties and communities in that state, with a reference to the county and the page number of the individual profile. There are 3,144 County and County-Equivalent Profiles. Every County Profile starts with a brief geographical description of the county’s location and, in most cases, a Climate Chart—weather statistics from that county’s weather stations. Information sectors that follow include: Population, Religion, Economy, Income, Education, Housing, Health, Vital Statistics, Election Results, National and State Parks, and Additional Contact Information. Also included are 43,130 Community Profiles. The vast majority of communities are identified as cities, towns, townships, villages, boroughs, unincorporated postal areas, and CDPs (Census Designated Places). Each Community Profile starts, like the County Profiles, with a brief geographical description, followed by a brief historical note about the community, offering information on each community’s founders, name, economical and industrial origins, famous residents, battles and buildings, and more. Fields that follow include: Population, Economy, Income, Education, School Districts (with enrollment figures and phone numbers), Colleges (with enrollment figures and tuition), Housing, Hospitals, Safety, Newspapers, Airports, and Transportation. 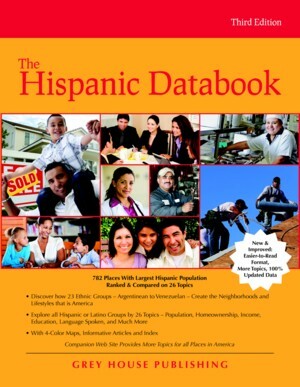 New to both the County and Community Profiles in this edition are statistics on: Median Age, Average Income, Household Income $100,000+, Graduate/Professional Degrees, Homeowner/Rental Vacancy Rate, Health Insurance, Median Travel Time to Work, Average Household Size, Males per 100 Females, English-Only Spoken, Persons with Disabilities, and Veterans. Additionally, this edition includes two brand new sections: National/Regional Comparative Statistics and National/Regional Rankings. Comparative Statistics use 68 data points to compare the 100 largest communities based on population. Rankings use 67 topics to rank places with 10,000 residents or more. Most topics are ranked both highest to lowest and lowest to highest. Profiles of America also contains two kinds of indexes. Individual State Indexes are located at the end of each state chapter, following the Community Profiles. These indexes are arranged alphabetically and list every populated place in the state, the type of place (city, town, unincorporated postal area, etc. ), the county it belongs to, and the page on which to find its detailed profile. The Master Index at the end of Volume 4 includes, in alphabetical order, a complete list of all 46,274 populated counties and places in America. This index is especially useful when users are sure of a place, but not of its state or county. Finally, an extensive Explanation of Data at the beginning of Volume I examines, in some detail, each data field in the individual Profiles, and provides the source(s) for all elements therein. Buyers of the third edition of Profiles of America receive a FREE SUBSCRIPTION to Profiles of America Online. With a subscription to this database, users can access customized Ranking Tables that make sorting and comparing all 43,000+ places across the whole country quick and easy. Visit gold.greyhouse.com or call (800) 562-2139 to set up a free trial.